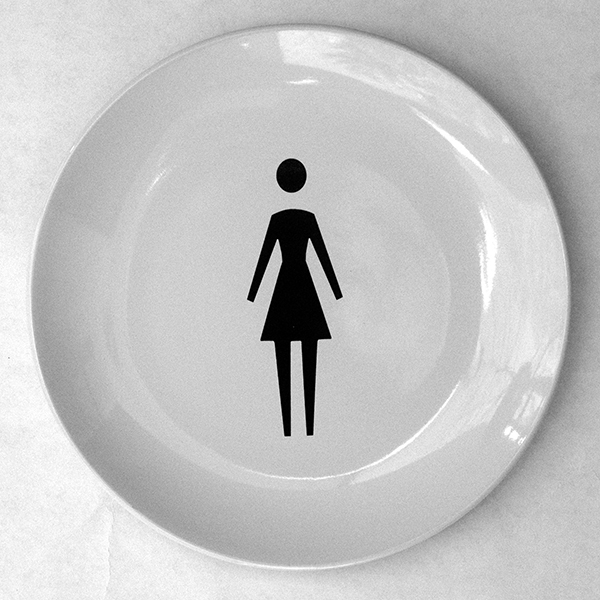 Introduced in 1974, the now ubiquitous pictograms of men and women serve as efficient standardized signage. 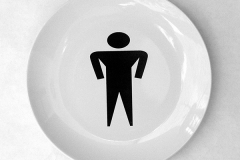 Yet there really is no standard – even the most uniform figures vary in their dimensions, cut of the arms, broadness of the shoulders, and connectivity of the head to the body. 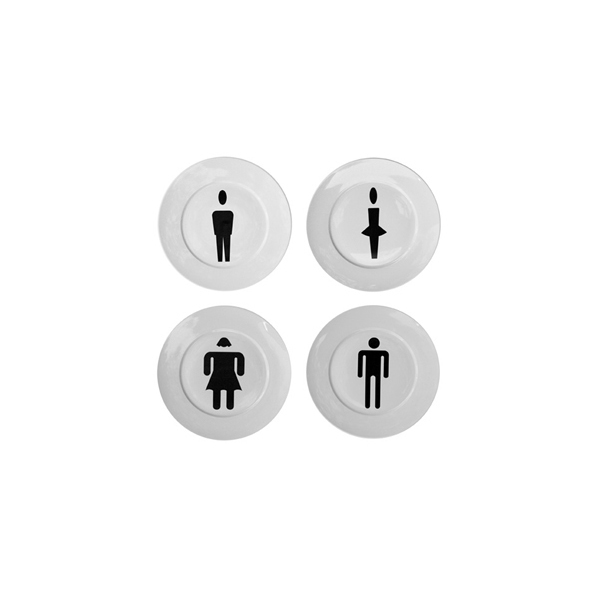 Add to the mix variations in proportion, posture, attire, cultural signifiers, and some implausible inseams and the differences become even more pronounced. 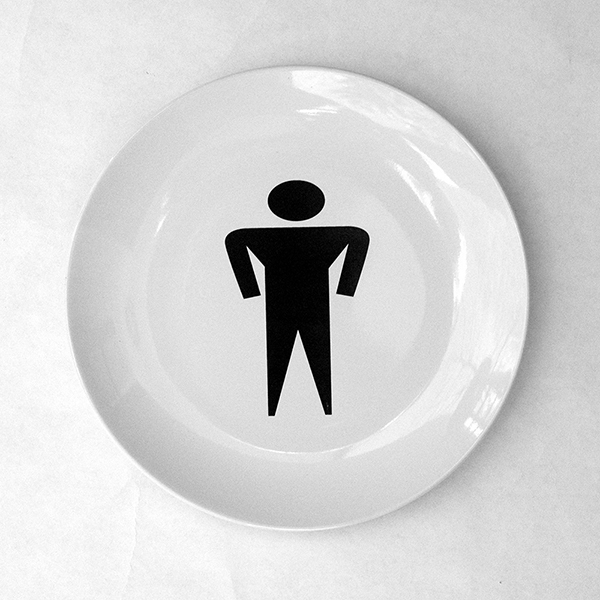 For years I have collected pictograms throughout the Americas, Africa, Europe and Asia. 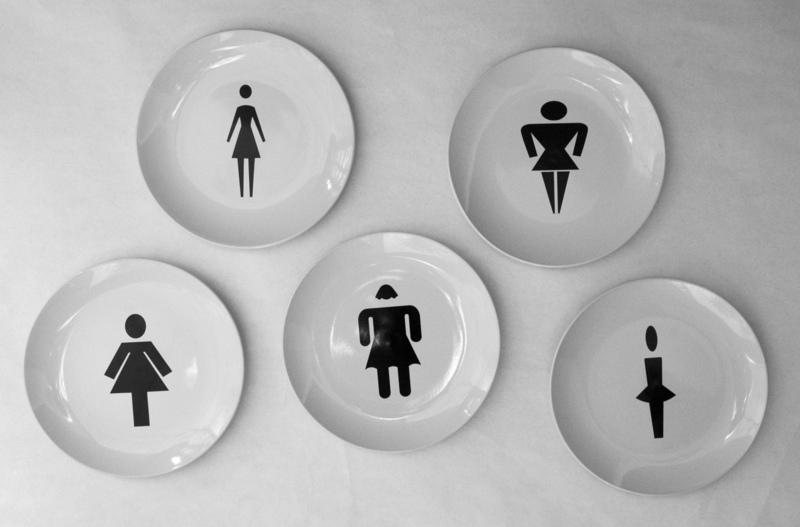 I’ve transferred some of my favorites, from the well designed to the amusingly awkward, onto plates that are suitable for display or dining. 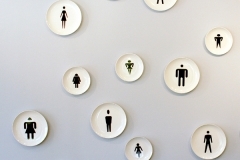 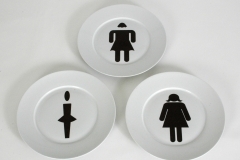 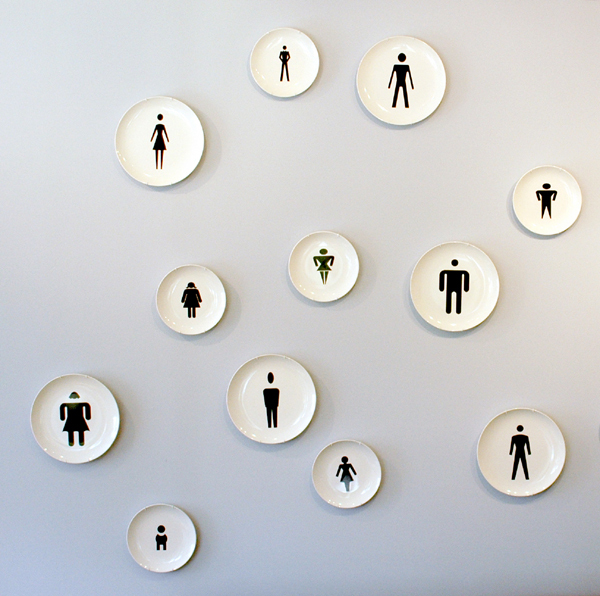 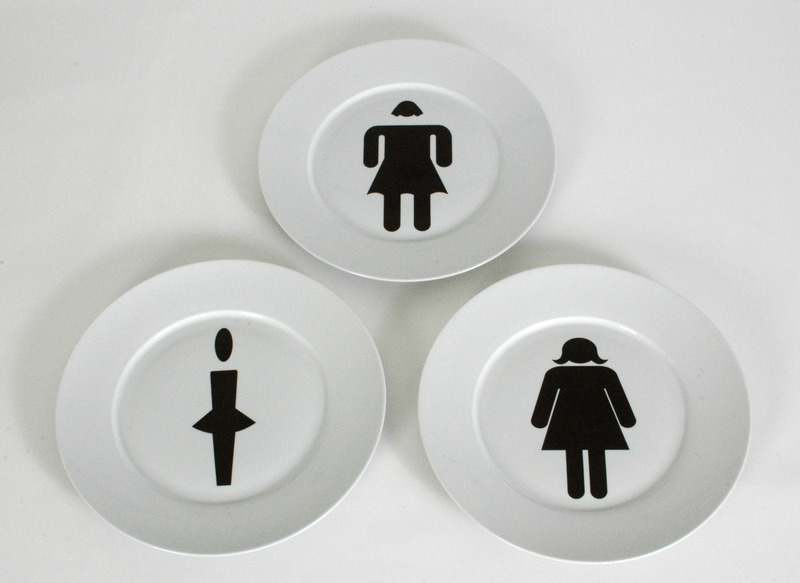 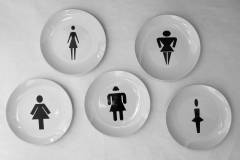 Instead of using place cards at your next dinner party, set these plates out and let guests find their place by choosing which pictogram best represents them. 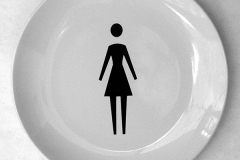 Heated conversations on identity issues and sexism will inevitably ensue and the party is sure to be a huge success.